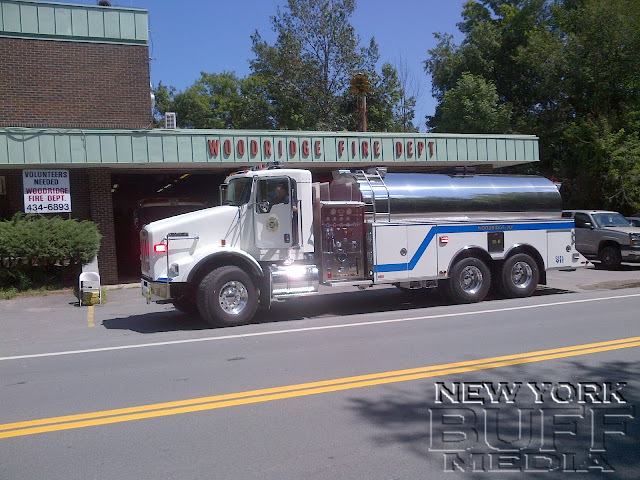 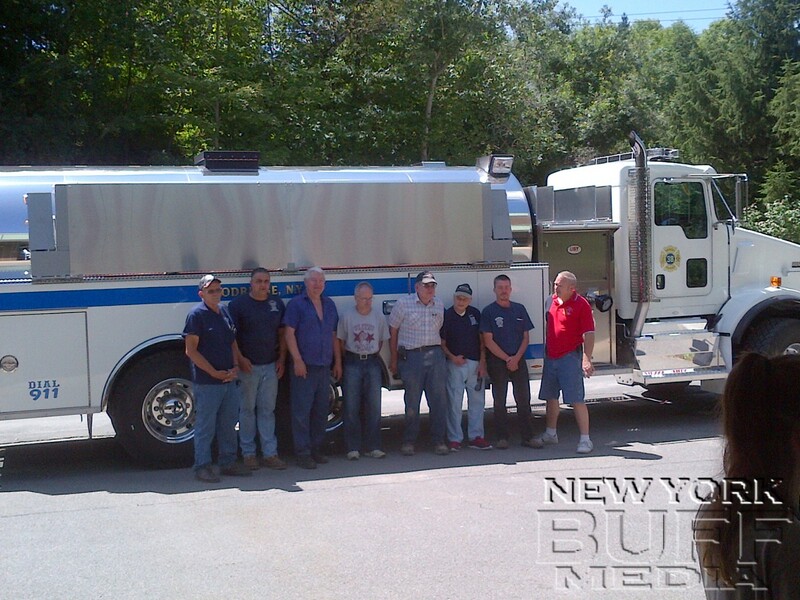 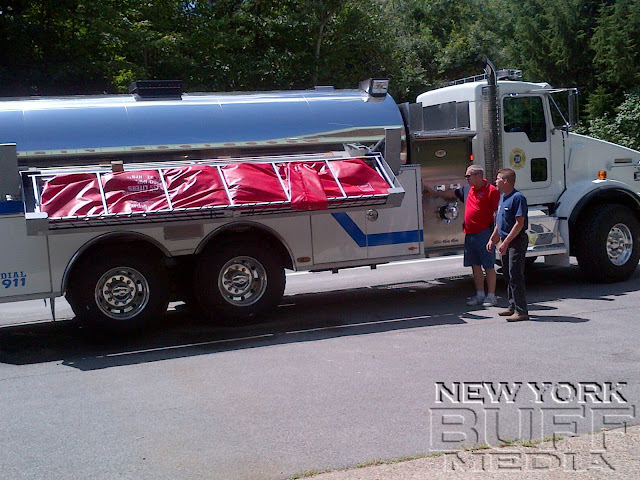 The Woodridge fire department (dept-38) which is one of the Sullivan County (53) fire departments got a new tanker truck (38-21) this past Sunday. 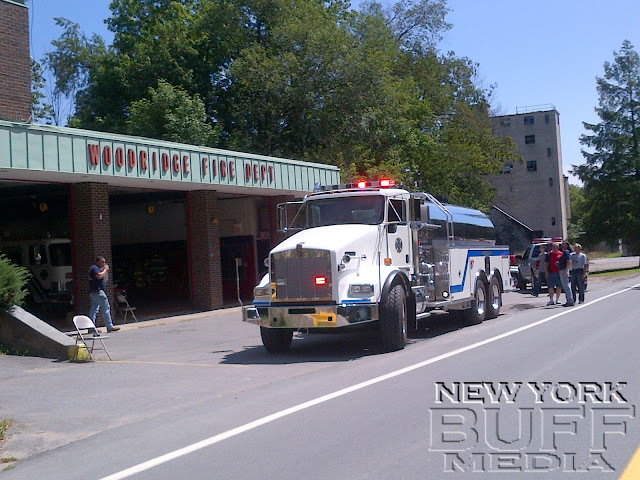 These photos were taken upon delivery to the Woodridge fire house. 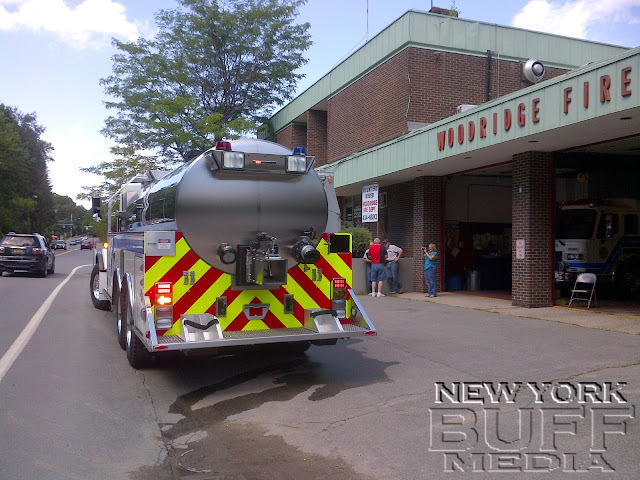 The wet-down is scheduled for the end of September.